The sound AUM (sometimes spelled om) is described in the Upanishads. It is found in Hindu art in India and Nepal. As creation began, the divine all-encompassing consciousness took the form of the first and original vibration manifesting as the sound AUM. The vibration of AUM is the manifestation of God in form. It is the reflection of the absolute reality, without beginning or end. embracing all that exists. The state of atunement with the primal sound AUM can be reached through meditation. 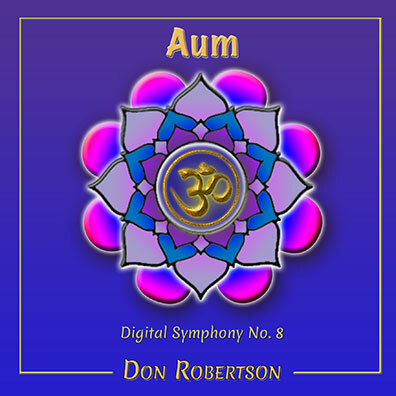 In music, we get close to AUM by atunement with the three primal sounds of the major chord (The notes C E G).